If you want something different to throw at your local fish, check out the new HypoTeez Buzz ‘N Blade from Scandinavian company Westin. With a simple retrieve, this lure wiggles its body, buzzes its propeller and flashes its blade for maximum attraction. The Buzz ‘N Blade is made from tear-resistant material, is easy to cast and has a fast sink (target depth is 2-10m). Thanks to its balanced weight, in combination with the prop and willow blade which create drag, the Buzz ‘N Blade always sinks at a 45° angle. 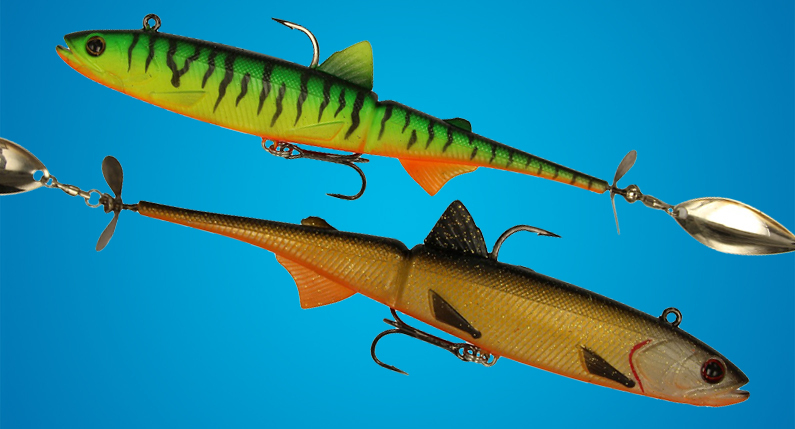 The prop and blade effectively have two purposes, creating vibrations as well as putting the brakes on the lure, keeping it in strike position. Other features include: realistic eyes, carbon steel #2 treble and #6/0 single stinger hook, full through-wire construction, soft body with internal weight, and hand-painted, detailed colours.